“Mockingbird” is a found footage horror film written and directed by Bryan Bertino and produced by Blumhouse Productions. 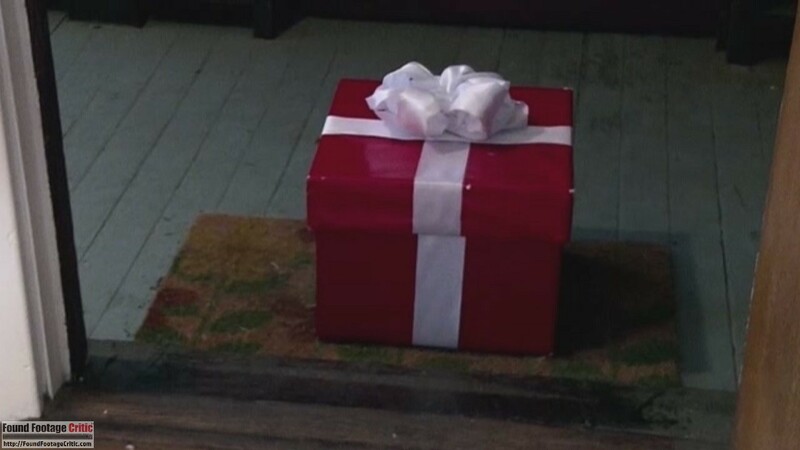 The story opens with a man, a woman, and a married couple all receiving an anonymous gift-wrapped boxes containing a video camera, along with notes telling them to “Keep Filming.” These “gifts” are followed by additional increasingly unsettling packages. The recipients soon realize that they are being watched, and the people who gave them the video cameras have nefarious motives. Over the course of one stormy night, these four people find themselves entangled in a twisted, sadistic game, their lives set on a violent collision course. Emmy and Tom, parents of two young children enjoying a night home alone; Beth, a college student living alone for the first time; and Leonard, a twenty-something screw-up living with his mother all find red-wrapped presents on their doorsteps. Inside they find a video camera, believing them to be contest prizes. Leonard, specifically, finds notes that lead him to think that he is the subject of a contest, wherein he has to perform bizarre and humiliating tasks in front of the video camera. The tension increases as Emmy, Tom, and Beth who receive envelopes containing pictures of themselves. Later, the same mysterious person sends them a VHS tape showing a little boy being shot, telling them that they’ll face the same fate if they don’t continue to film everything. 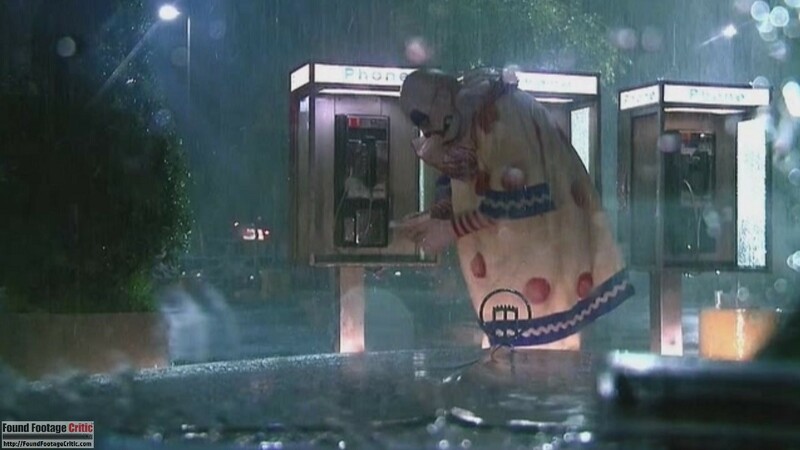 The unseen villains proceed to torment the helpless victims, sending them frightening phone calls, terrifying them with strange noises, and finally breaking into their homes. The sadistic game eventually leads to one address: 1805 Mockingbird Drive. 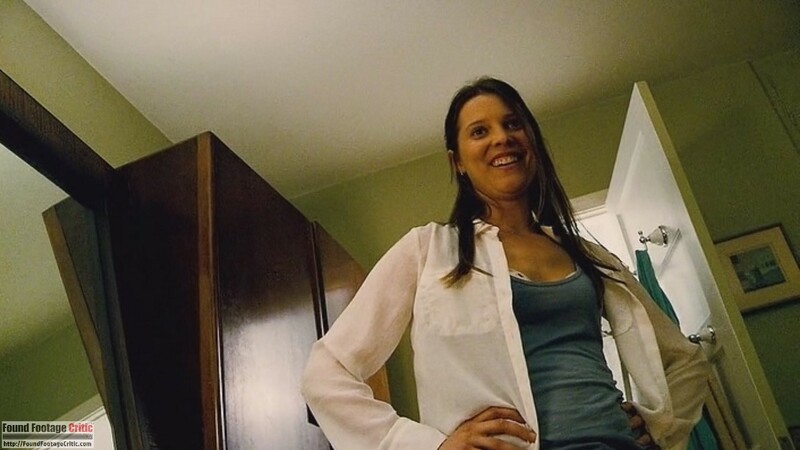 Mockingbird was Bryan Bertino’s first film in six years, him having previously written and directed the 2008 home invasion horror film The Strangers, starring Liv Tyler. 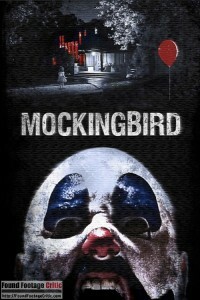 Bryan Bertino has also served as producer on a few other horror films, including Mockingbird. 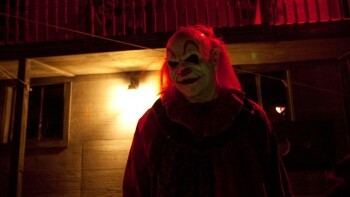 According to one source, the film went through two years of development hell, before being released direct-to-video, as opposed to The Strangers’ wide theatrical release. Mockingbird is Bryan Bertino’s first found footage effort. Viewers should be forewarned: the film begins with a graphic scene of a young child being shot in the head, purely for shock value. This scene is repeated several times throughout the movie. Many may also want to know that the film features a cat, and it very much doesn’t make it to the end. Mockingbird sets up a strong internal justification for continued filming: for most of the film, three of the four main characters have good cause to believe that they’ll be killed if they stop filming. The fourth believes that he is participating in a contest and must film himself to win. However, for the former three, this still leaves the problem of why they insist on filming before the threats. Each receives a video camera in a box on their doorstep and immediately picks up the large, boxy apparatus and begins filming everything they do. The fact that all three have the same bizarre reaction makes this setup even more implausible; particularly when Beth and Tom film narrate walkthroughs of their home. 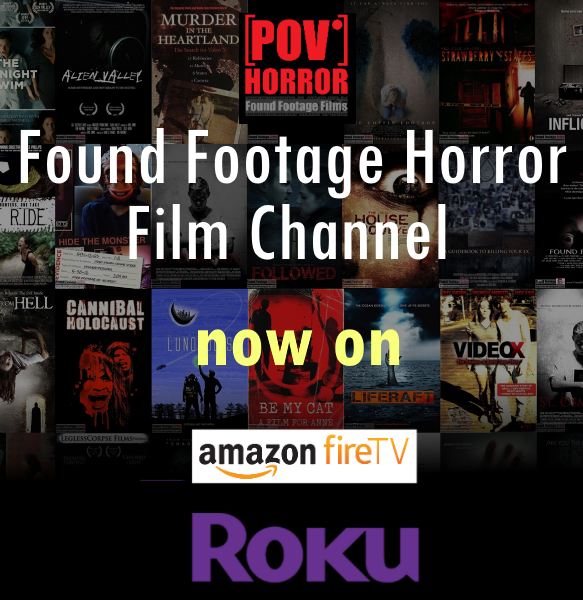 At around the thirty-minute mark, the filming justification becomes much more believable, enmeshed in the plot in a way that many found footage films do not achieve. The film further manages to creatively justify filming by using modified video cameras that they cannot be turned off. As the video cameras are provided by the villains, who are implied to have possibly supernatural powers, this concept comes across as believable. The only quibble that can be raised about the filming justification is the unusually strong presence of mind the characters have when it comes to keeping hold of the video cameras in moments of panic. 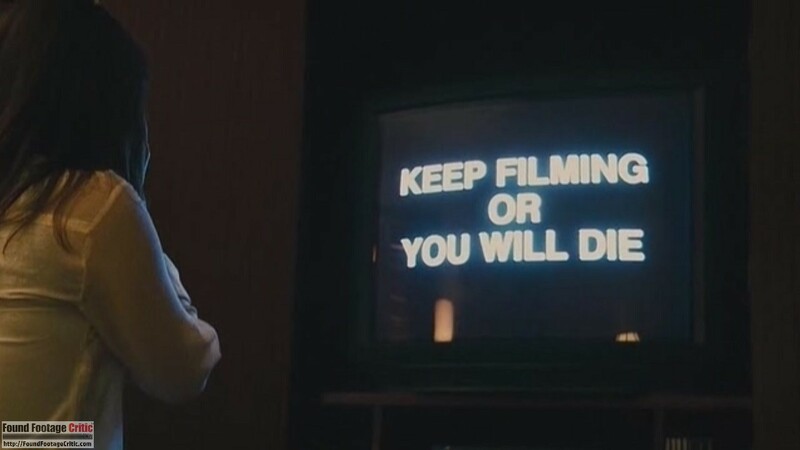 Mockingbird compromises its found footage purity throughout the film with the inclusion of title cards, dividing the film into loosely themed “acts.” Since Mockingbird is not presented as a mockumentary, the addition of the titles cards is inconsistent with the film’s setup. 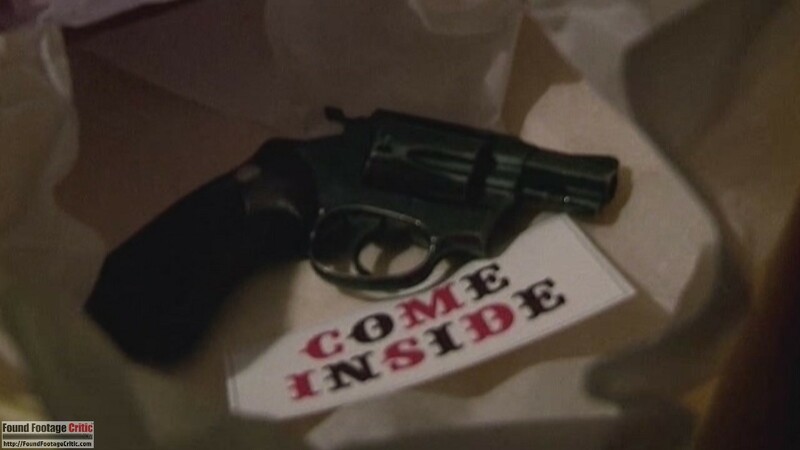 While title cards often lend style and tension to traditional narrative films, in Mockingbird, the title cards disrupt the found footage conceit of the film. 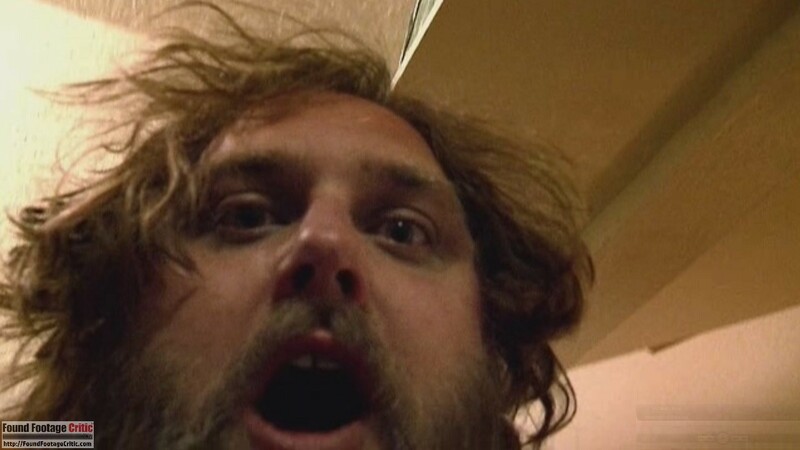 Title cards aside, Mockingbird is pure found footage. Bryan Bertino effectively creates a faux-cinematic visual variety in the diegesis through the abrupt manipulation of lighting. Mockingbird achieves a strong, atmospheric soundscape through the villains tormenting their victims by blasting sound at them. 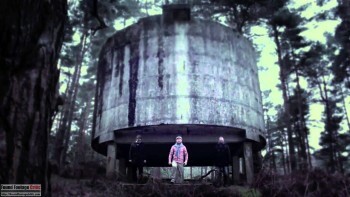 Overall, the film is an excellent example of creativity within the limits of the found footage format. A title card at the opening of the film announces that the events therein takes place “Once Upon a Time in 1995,” placing the action some nineteen years ago. The film entirely fails, however, to realize and effectively employ its setting. 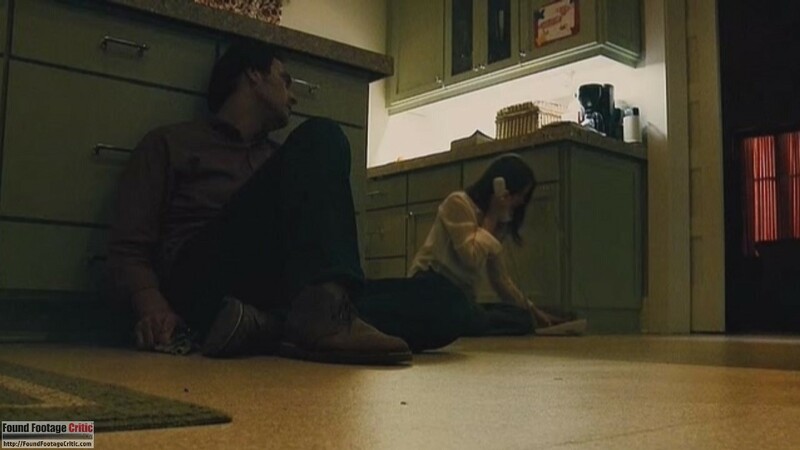 Virtually no visual details (save for a young woman talking on a landline and one scene containing a VHS tape) indicate the supposed time period. Clothing, hair, and makeup are all unremarkably modern. The film is rather transparent in using the 1995 timeframe to avoid having to explain away cell phones and the Internet. At one point a character asks if they can ask for help using “AOL,” only to be reminded that their internet depends on the currently out-of-service phone line. If Mockingbird film paid more attention to the visual and cultural details of 1995, this device would appear more satisfactory. There is one particular scene which will likely strike many female viewers as distractingly unrealistic. 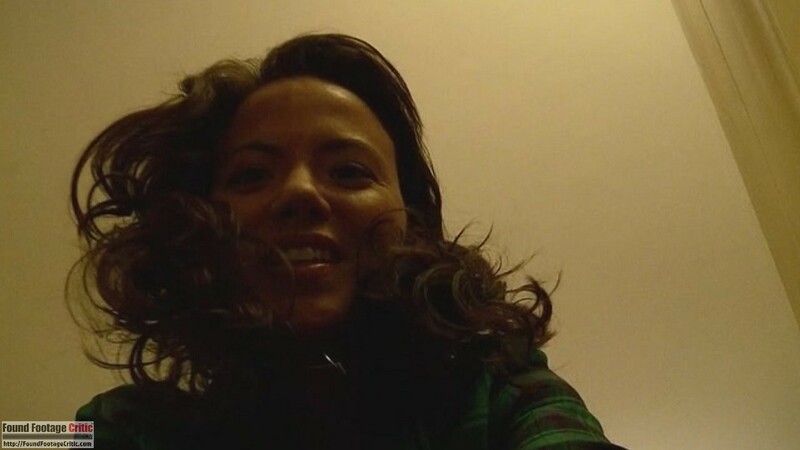 Beth, who has already found a mysterious box containing a video camera on her doorstep, receives an envelope full of pictures of her taken without her knowledge. Where any other woman (particularly one living alone) would have responded with at the very least panic and at the most a call to the police, Beth brushes it aside with barely a hint of concern. This may be a case where the writing of the character doesn’t fully take into account a woman’s perspective. 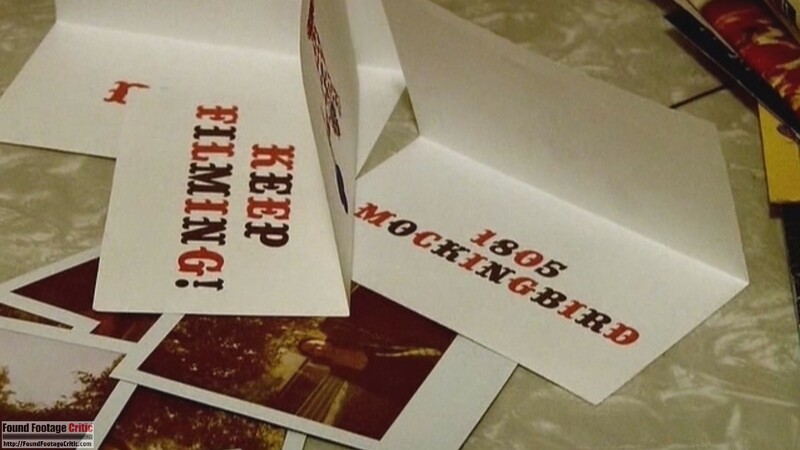 While a greater use of 1995 period detail (Mockingbird was released in 2014) could have added to the realism and immersion of the movie, overall the film doesn’t come across as unrealistic in any way that excessively strains the suspension of disbelief. The strong performances will likely keep viewers in the moment and sensitized to the tension built throughout the film. The video quality is slightly better than what would be expected of mid-nineties technology. 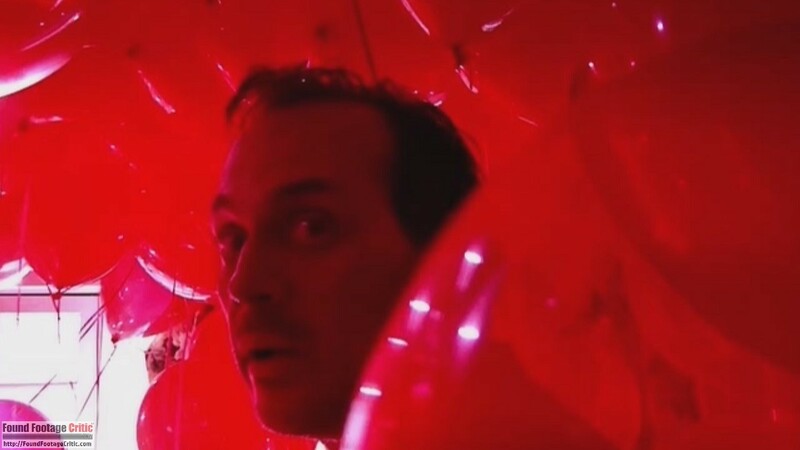 However, the video cameras are also uniquely modified in their inability to be turned off. 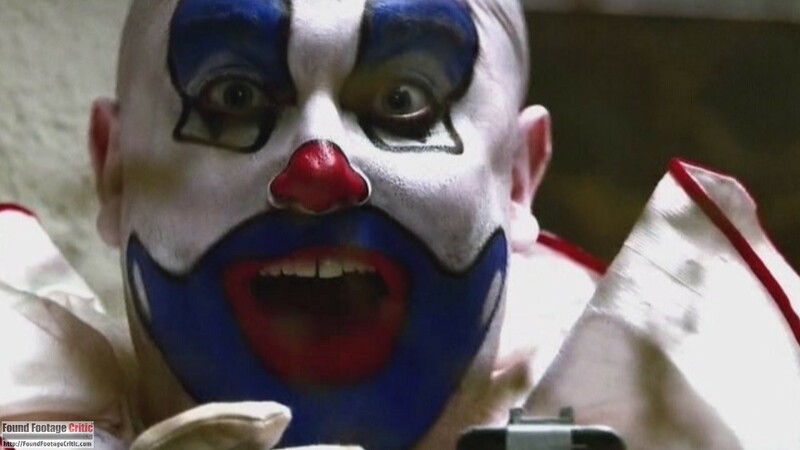 The reach of the movie’s villains is enormous to the point of being intentionally ambiguously supernatural, making the high quality of the video cameras less distracting. On the other hand, the modern video quality adds to the weakness of the period setting, discussed further below. Bryan Bertino makes good use of background action. The film presents disturbing visuals presented without screams or musical stings, to frightening effect. 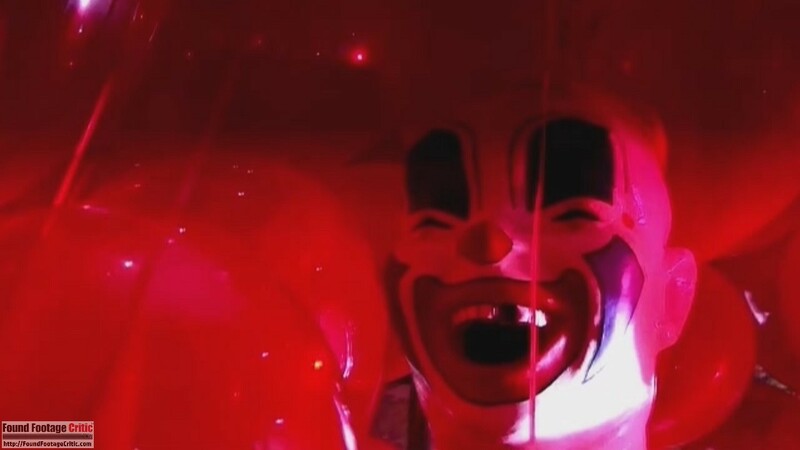 Along with the haunting soundscape, the background activity is the film’s strongest suit. The camerawork is also believable for non-professionals in the given circumstances. As mentioned earlier, the characters have a strong reason for filming as much as they can. 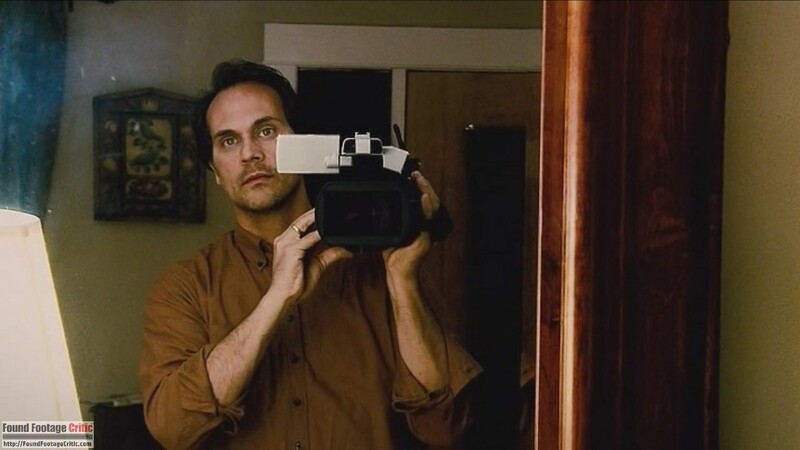 The film provides an additional sense of realism by including several scenes in front of mirrors, showing how the video camera is being held, often by a handle at the character’s hip. Excluding the jolting opening scenes of Mockingbird, the film has a slow start. 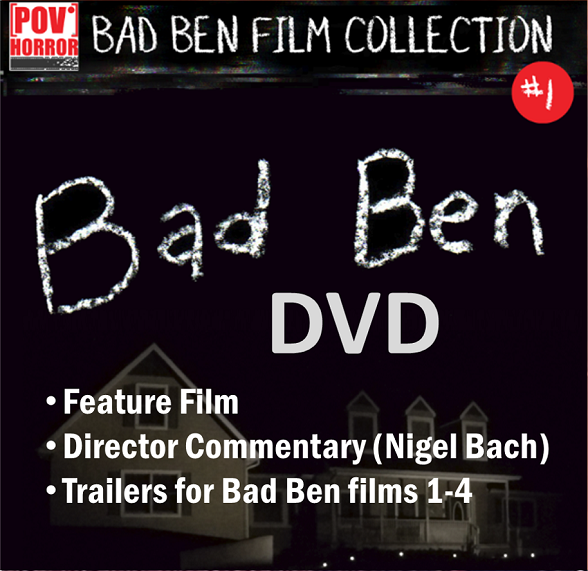 The first thirty minutes are devoted to video following the main characters mulling around their homes, making small talk, and playing with their newly acquired video cameras. At around the thirty-minute mark, the plot kicks into a dramatically higher gear, when the characters are actually placed in fear of their lives. Mockingbird has an ambitious set-up, managing three interwoven stories. The juxtaposition of the different storylines effectively amplifies the tension. A sense of unity is created by the use of the same model video camera filming each scene. The overarching omnipresence of the villains throughout the film is both unsettling and deeply felt. Unfortunately, the carefully ratcheted tension built throughout the film culminates underwhelmingly. The conclusion is ultimately predictable and unsatisfying, requiring unbelievably doltish behavior from the characters. A last-minute twist ending is unsettlingly filmed, but nonsensical nonetheless. The acting in Mockingbird is by and large solid. There are no markedly weak performances, though the roles do not call for much fine detail work and none of the cast is provided much to work with in terms of character depth. For Alexandra Lyon (Beth), an actress with a good deal of TV experience, Mockingbird is her second feature role. Alexandra Lyon turns in the best performance, effectively conveying Beth’s intense fear in scenes which become genuinely heartbreaking. Mockingbird is a stylish found footage horror film that offsets a flawed plot with strong atmosphere.